Brighton Ski Resort, located about 30 miles east of Salt Lake City in Brighton, Utah, is the oldest ski resort in Utah. Opened in 1936 by members of the Alpine Ski Club, the resort originally had just one makeshift tow rope constructed from wire and an elevator motor. Today, Brighton offers seven chairlifts, lodging accommodations, dining options, shopping centers, a ski shop, on-site medical clinic, day-care services, and much more. Brighton is a favorite among locals for a variety of reasons. For one, the resort's mission is to provide a quality product for an unbeatable value. 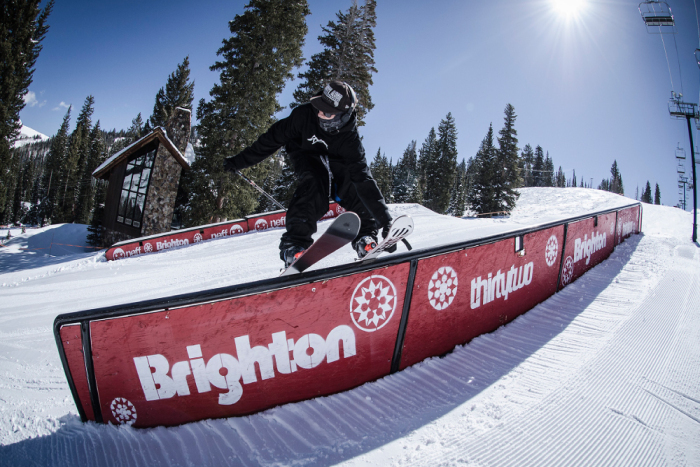 To provide the best snow possible, Brighton grooms most of its runs nightly, and the resort routinely offers discounted lift tickets to allow locals to ski and snowboard cheaply. Brighton is also known for its extensive backcountry access and night skiing. In addition, the resort is popular among locals for its top-notch Ski and Snowboard School. At a base elevation of 8,755 feet, Brighton receives an average annual snowfall of 500 inches a year, and snow at Brighton was recently voted the second best in the nation. The resort has 1,050 skiable acres, and the terrain--which includes a halfpipe and terrain parks--is varied to accommodate riders of all skill levels.